This story is about a sweet little girl who is named after a beautiful flower. She grew to love her name. What could go wrong? Now that this little girl is in school, she has hated her name more and more. What will happen now that she is getting laughed at for her name and what will she think about her name in the end? Lets all pick a new name out of this jar that I have written up. Each name is a flower and I want you all to research more about the flower that you drew. After we all have our information, create a name plate for your new name with different drawings and colors that make your flower extra special. Thirteen letters make up Chrysanthemum’s name, and her bravery is just as extraordinary! Henkes’ tale follows Chrysanthemum as she grows up with confidence, only to have it broken when she encounters teasing at school. This is a wonderful story for Kindergarten through 2nd grade, Scholastic labeling it an “M” on their guided reading scale. Not only is it great for character education, but there is also a great opportunity to integrate a math lesson by numbering off the amount of letters in students’ names! Some of Ms. Pierson's Favorite Books! This would be a great book to implement in the classroom! There are so many ideas that come to mind when thinking about reading this to my kiddos. One activity that I think would be great for younger students is to break down their names into syllables, number of letters, and number of vowels, etc.. Also I feel it is important to make sure every child knows their name is perfect and picked just for them. I would love to read this to my class. Chrysanthemum thinks she has a perfect name until she attends her first day of school, where other students start to ridicule her. This book can be used to teach students about acceptance. It is on a 570L Lexile reading level, which is a 3rd grade equivalent. When reading this story to students, the teacher can have a large heart cut out at the front of the room. Every time someone says something mean to chrysanthemum, a student can come up front and crinkle a portion of the heart. Afterwards, students will take turns trying to smooth out the heart. This is to show students that even after something unkind is said, the person may still feel upset by it. It shows students that it hurts someone’s heart, when people are being unkind to them. 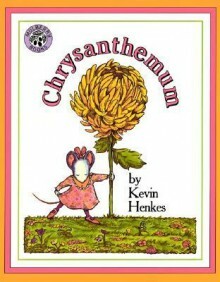 Chrysanthemum was published in 1991 by Kevin Henkes. This story is about a sweet little mouse named Chrysanthemum. She loves her name until she starts kindergarten and her peers make her feel as if her name is uncool. Chrysanthemum's parents try to comfort her by giving her "hugs, kisses, and Parcheesi." However, her self esteem has still plummeted due to the mean girls at school. One day, the students met their new music teacher. Everything suddenly gets better for Chrysanthemum when the teacher says that she wants to name her baby the prettiest name she has ever heard...."Chrysanthemum." For this activity, I will have a "My name is perfect" pack for my students so that each student leaves feeling 110% confident that they all have the most beautiful names! This book is a level 3.3 according to the Accelerated Reader book leveling system.